In light of the Gospel, Christians give willingly and joyfully, not under obligation, as an act of worship to God. We seek to be good stewards of the finances and resources that God has entrusted to us. 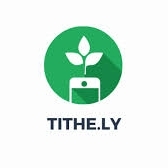 You can give online through Tithe.ly by clicking on the icon to the right. If you are giving through check, please make checks payable to “OMC: Family Chapel”. We thank you for your generous partnership in the Gospel!